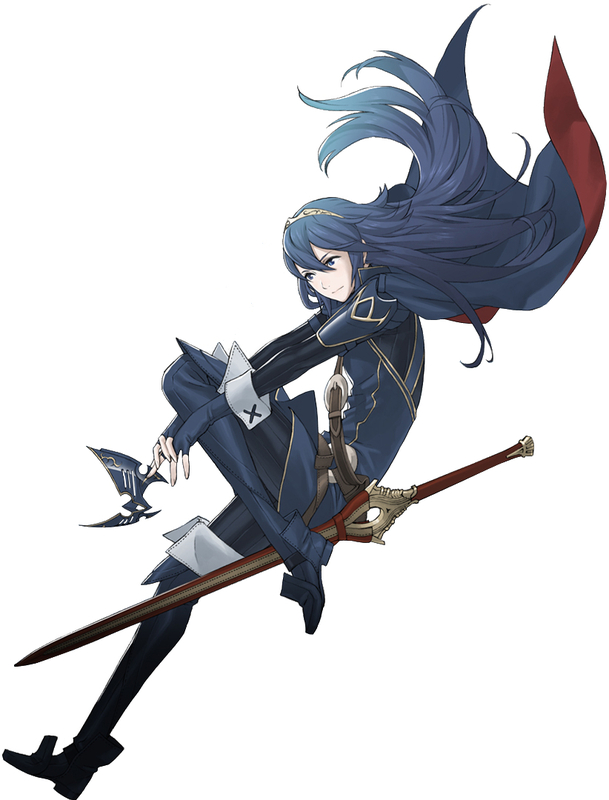 Distinguishing Features:She dresses up exactly like Lucina since she noticed that she resembled her in many ways. Personality:Marcy was trained all her life to be a warrior and was excluded from boys her life. She always had dreams of being with someone and deep down she wants to be someone's wife. She wants someone to love her and she can be very clingy but that's do to the fact that she's trying not be lonely since she's felt that way all her life. Backstory:Marcy has been trained her whole life by her sister Rose. Rose was jealous that Marcy was chosen to be the true successor of Marth even though Rose qualified way more. Marcy's swordplay was sloppy and repetitive while Rose's skills were magnificent. Rose had been chosen to train Marcy at a young age so Rose took Marcy and left there home. Out on there own Rose's training for Marcy had begun and this put tons of strain onto Marcy's body. Due to this she tends to push herself over the edge in Physical combat so if she is not stopped by someone she can work herself to death. After ten years of Rose's training Marcy was 15 and had never even seen a boy. This saddened her because she wanted to experience love but everyone thought this would hold her back. It was because of this she ran away from everyone she loved to start a new life. One where she would be able to meet boy of her dreams.